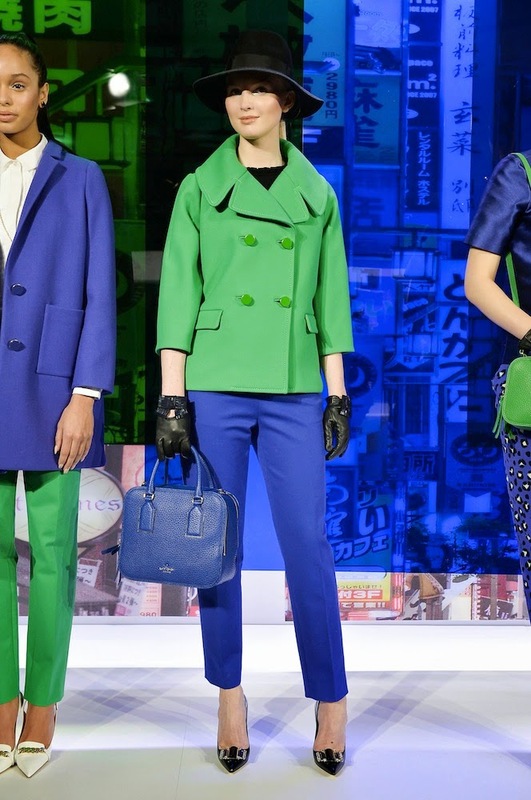 I know that the color blocking trend has been around for a while and so is nothing new - but when I saw this look from Kate Spade's Fall 2014 show...I died! I was so inspired that I took to shopping my closet to create my own interpretation of the look. Note to self: find a plus size version of this amazing green jacket and make my way to Kate Spade for these gloves and shoes! Unfortunately all of the items used to create this look are old so they are no longer available. You have this look down to a tee! Purple and green is also one of my favourite colour combos. Great take on the runway look! You've always been great at recreating high end fashion look. This is such a cool color combo. I'll have to keep this in mind for an inspired look. Glad to see this beautiful outfit. That Green Kate Spade jacket is already in my plans in yellow. Check for it soon on my blog.